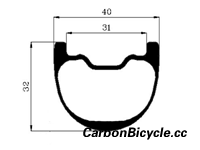 The asymmetric design can insure the rims weight center point is in the centeral, so the Asymmetric hookless carbon rims for Mountain bike can improve the chain-side weight, and make mtb riding more smoothly and faster. 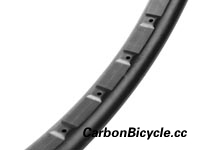 New MTB Carbon Rim 42mm Wide,25mm depth, for 29er and 650B(27.5er) mountain bike, the spoke hole reinforced with more carbon fiber! 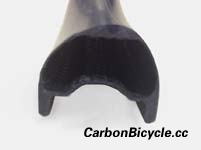 Hookless 50mm wide XC carbon rim for 29er MTB.